In this little photo series, we're sharing some photos taken from the food markets of Laos. The creatures that provide the animal protein to the Lao diet is what is quite fascinating and might be surprising to some viewers. Consider it a little culinary trip through the food markets of Laos - without any judgement. 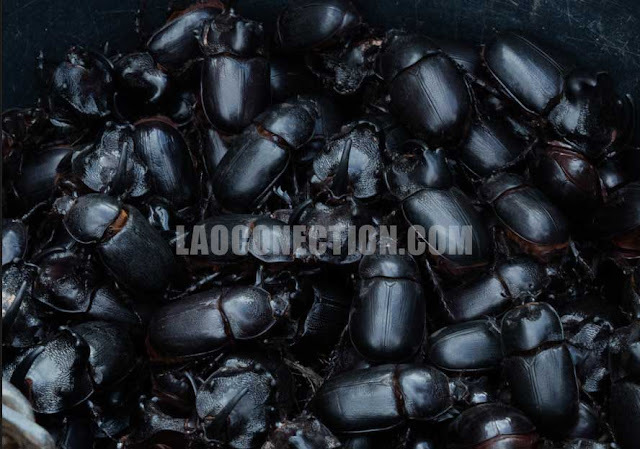 In this first photo, here's a close up of large black beetles that were being sold in a large bucket. Typically, these would be prepared by deep frying them and lightly salted.